You are ready to make up after your fight or argument But your spouse isn’t. Four steps you can take to get your relationship back on track fast. No need for the fight to go on. With a few steps you can make up and enjoy the rest of your day together. Whether it was your fault or not, and no matter the reason for the fight, you need to get your marriage back on track. After all, prolonged distance means decreasing love. But, your spouse may still be so upset that you don’t know how you will ever get back on track. The longer your spouse stays upset, the easier it becomes to emotionally pull away from him or her. You don’t need to fall into that kind of vicious downward spiral if you know how to pull your spouse away from his or her hurt and anger. Here are four steps you can use for making up after an argument or fight. See your spouse’s emotional and defensive reaction as normal for your spouse. Don’t be surprised and upset by your spouse’s reaction. We don’t need to blame our spouses for any patterns of behavior. Once we know the pattern, we can predict, plan, and prepare. If the pattern is that you are usually the one who wants to make up first, expect that the next time as well. Plan for how you will do that and prepare to make it happen. Tell yourself that it is normal for your spouse to behave the same way each time. This will help to calm you down and have the right attitude. Expecting our spouses to be different than they usually are makes us upset. We need to change our expectations to match how things actually are. That will get us out of the should be’s and make us more effective. Take the initiative to listen. Listening is one of the most powerful action steps that you can take toward resolving any kind of marriage problem, including making up. Although you may be tempted to explain some more, that will make things worse. Making up is a time for setting the problem aside, not getting back into it. When your spouse is upset, listen to any continued attacks without defending, explaining, or counterattacking. This should prevent another argument flare up. Just listen. Don’t try to calm, don’t try to reason. Listen, listen, listen. Let him or her get it all out. Put issues of right or wrong aside. Put your hand on your mouth if you need to stop yourself from talking when you are listening. Watch for evidence that your spouse is not yet in emotional control. Being in emotional control doesn’t mean having no emotions. Being in control is like a campfire that is safely burning inside a ring of stones. Out of control is when that fire is growing bigger and starting to leap out of the ring. We stop such a campfire problem by removing all the flammable stuff around it. You can do the same if your spouse’s emotions are flaring up. In this case, back off and come back later. He or she still needs to calm down more. Don’t give any fuel to the fire by saying anything. Try again later. Don’t give up. Don’t demand a quick return to normal and don’t give a lot of attention to your spouse. Attention is another kind of fuel that can keep strong emotions burning. Let him or her get bored with sulking. Don’t make it your problem. If he or she runs out, don’t chase him her down–that would just create a worse pattern. Be agreeable. If your spouse is relatively calm, but is still making attacking statements, think about his or her statements and agree with whatever you can while continuing NOT to give apologies, defend yourself or give reasons. If you can’t do this, tell him or her that you need some time to consider what he or she is saying and then go away until you can find something that you agree with. Although you may disagree with some or most of what he or she is saying, do not point that out. Instead, you need to find the part of what he or she is saying that is true. This requires an open and loving heart on your part. A desire to connect more than a desire to be right. Agreement doesn’t prevent you from using boundaries to maintain your values and respect. You’re calm and want to make up. Your wife says that all you care about is yourself. You think about that for awhile until you find something you agree with. Then, you respond, “Sometimes I do get that way.” Or “If I were you, I’d probably think the same thing.” That’s it. No apologies, no explanations. No counterattacks. Every time you agree (sincerely) with something your spouse says, you take more and more energy away from his or her anger and create a little more desire in him or her to cooperate with you. If you find it hard to think of how you can agree, Read my book called Connecting Through “Yes!” which has many examples for using agreement to end even severe marriage conflicts. At this point, you need to be ready for the sneak attack. You are being calm while your spouse is not. 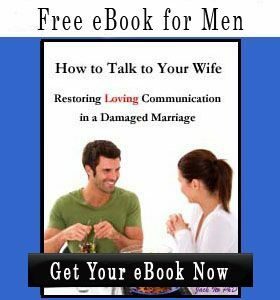 There is a good chance that while you are trying to help your spouse to be calm, he or she will say something to make you really upset—a real low blow. Your spouse is trying to provoke a needy behavior in you, such as becoming defensive or becoming fearful. Best thing to do—let it go, walk away. 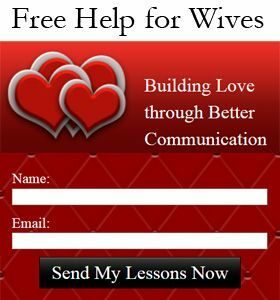 If your spouse demands a response, then tell your spouse that what he or she is saying is a very important. So, you want to calm down and consider it well before responding. Then, keep walking away. This is one of times when you need to use a boundary. The consistent use of boundaries will actually reduce the bad times you have together. That will mean the good times will have more of an impact. Then walk away without getting pulled into an argument. After all, do you really think that talking at this time is going to make things better? If he is upset about your walking away, that’s probably a whole lot better than what would have happened in a continued fight. No matter what he says to pull you back into arguing (e.g., “There you go again–avoiding working on our problems”), continue to walk away. Fighting kills relationships–not walking away to calm down. Usually, it won’t take more than two times of listening and agreeing sincerely with a person before he or she wants to make up. The exception would be if all you have left in your relationship is fighting. If all you do is fight, your spouse may use the fighting as a way of having more interaction with you. It is also possible that your spouse has already emotionally withdrawn from the relationship and uses the fighting to maintain the distance. That is particularly true if your fights are over small, stupid things. This is one of the common divorce warning signs. The more your spouse argues about little things, or blames your for his or her unhappiness, the closer he or she is to deciding to end your marriage. There are good steps you can to stop the arguing in your marriage and rebuild your relationship. Listen quietly and respectfully. Don’t interrupt and don’t provoke. State your desire just to get back to a good relationship again. If your spouse doesn’t admit to anything, that’s OK. Working on how you handle this situation is more important to your relationship than trying to prove your spouse wrong. Your relationship will only be built through win-win. When things are going well, talk to your spouse about the way that you both fight and your desire to find a better way to work on differences. If your spouse blames you for that, don’t resist. Focus on agreeing with your spouse that regardless of whose fault it is, that the way you are both handling your differences is not good. Brainstorm some different ideas with your spouse for how to handle things. Work on setting some boundaries together that you both agree on. Try out new ways. Don’t be afraid to experiment. You can always agree to go back to fighting if the new ideas won’t work. Most spouses won’t want to do that. If things have progressed to the point where it is just not possible to even talk about these things with your spouse, then it’s time for learn some more skills. I wrote Connecting Through “Yes!” to help people with just situations. 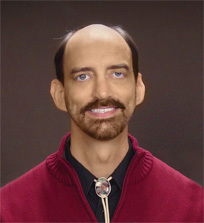 Many people have written to thank me for helping them to end conflict in their relationships. 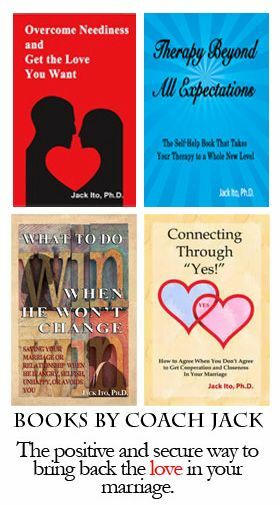 If your relationship has gone past the point of self-help books, relationship coaching is also available. Relationship coaching does not require your spouse’s participation, so does not promote conflict. Regardless of who is right or wrong, I encourage you to prioritize restoring your relationship. Don’t let fighting end your love for one another.